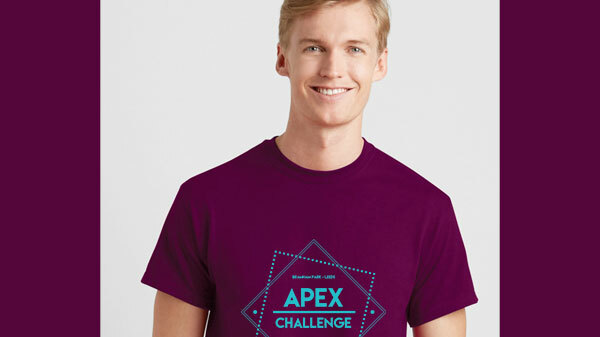 The votes are in ... the numbers have been counted ... and you've officially chosen maroon as this year's Apex Challenge T-shirt. It's the first year that the date and location of an event have been featured on the design and also the first time we have included the names of every team competing, which will be printed on the back of the T-shirt. Make sure you order yours when you enter your team. Remember entries CLOSE at 8pm on Thursday 26 September.